There are many tournaments throughout the year in Los Angeles. 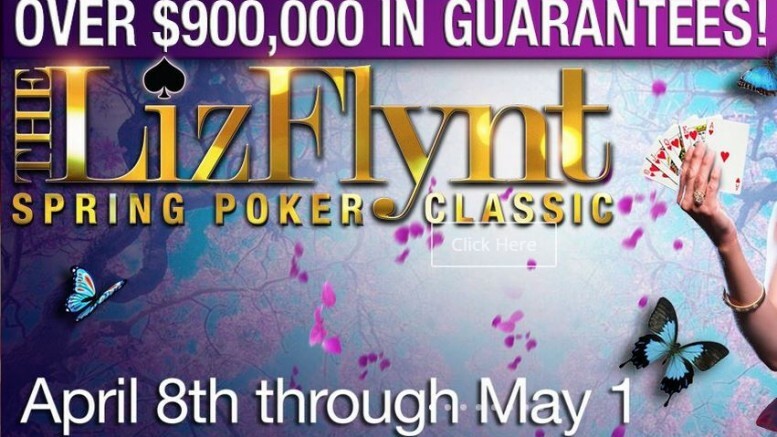 But on Wednesday, April 22, 2015, Hustler Casino is holding a one-day Heads-Up tournament during the Liz Flint Sprint Poker Classic. This event will only allow a maximum of 64 entries who will then play only heads-up no-limit Texas holdem poker until there is an eventual winner. The entry fee is $300 and $2,500 will be added to the prize pool by the casino. $8,000 will be given out for 1st, $4,000 for 2nd and $2,000 for 3rd. It’s interesting that they already know what the prize pool will be because normally, they wouldn’t know until everyone has entered. Each participant will start with 10,000 in chips and each level will be 30 minutes until a winner is determined. If you’ve ever wanted to try your hand at a heads-up tournament, or you want to practice for what would be the end of any large tournament, this is your chance to test your skills.